Best Spectre convertible yet. 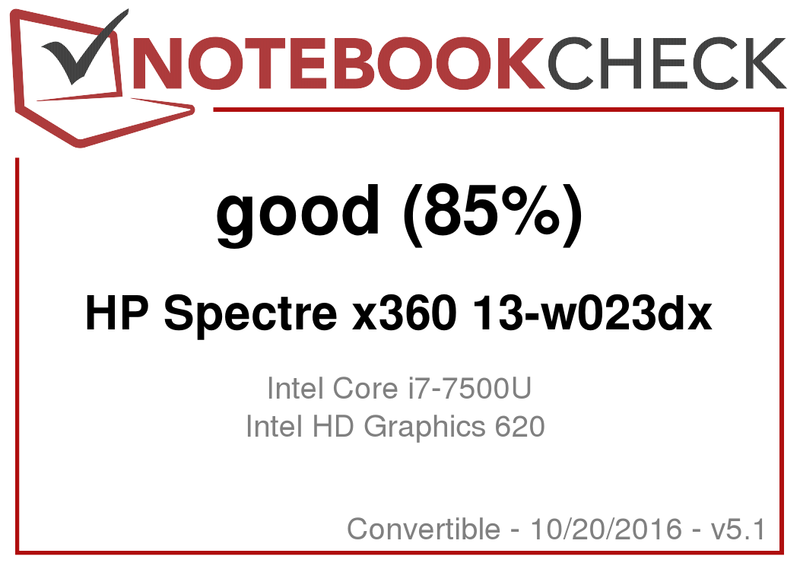 The 13-inch Spectre x360 series has received a full-blown refresh in time for Kaby Lake and the results are nothing short of impressive. 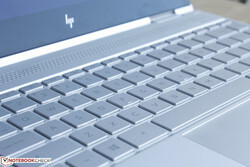 The HP brand has always appealed well to large-scale businesses and traditional office users. To millennials and the younger workforce, however, the manufacturer is not typically seen as an alternative or even competitor to the sleek notebooks that Apple have to offer. The Spectre series was created in an attempt to bridge that gap and attract a new age of business users with a thinner and more visually distinct design philosophy. The latest Spectre x360 13 is a complete refresh of the outgoing Skylake-based Spectre x360 13 with new Kaby Lake options and narrower bezels for a lighter and more portable chassis. Up until this point, we have been recommending the Lenovo Yoga series as the go-to notebook for those who find the convertible aspect valuable since the older Spectre x360 models are comparatively larger, thicker, and overall heavier. 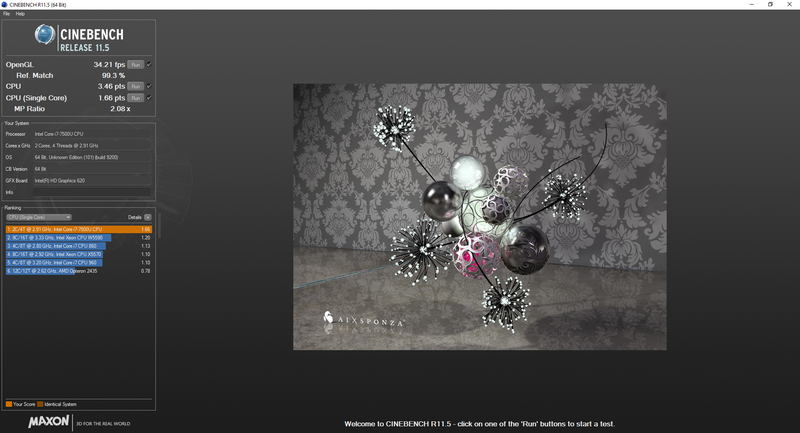 Is this latest redesign compelling enough to change our minds about the Spectre series? 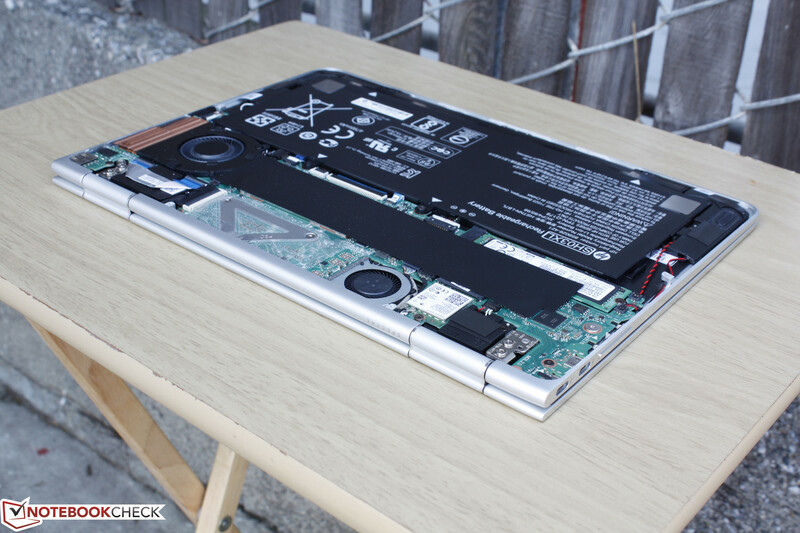 Super-thin notebooks almost always have us concerned about case quality. 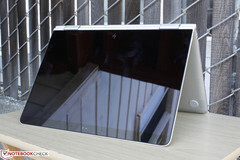 Make the bezels even narrower like on the XPS 13 and we start questioning the rigidity and longevity of the design. 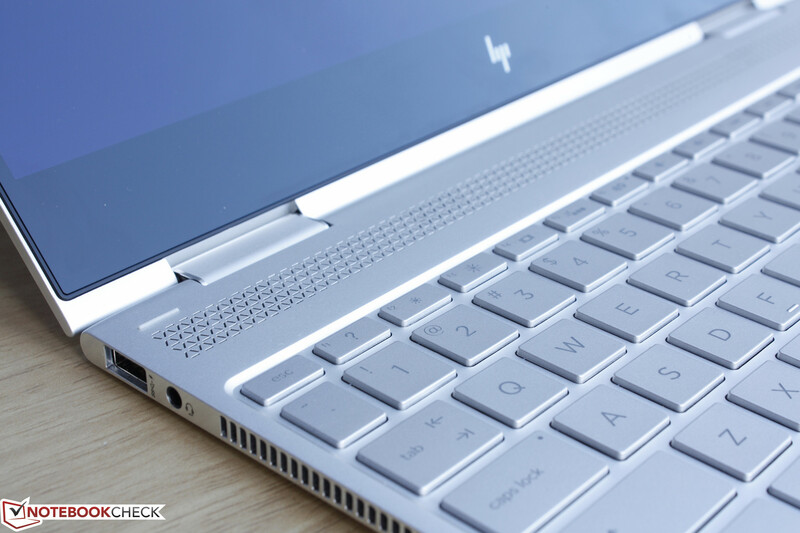 Fortunately, the Spectre series is notable for its clean-cut CNC aluminum, Gorilla Glass-reinforced touchscreen, and flat brushed edges that all lend to a sturdy first impression especially when compared to the more flexible carbon fiber Yoga 900 series. 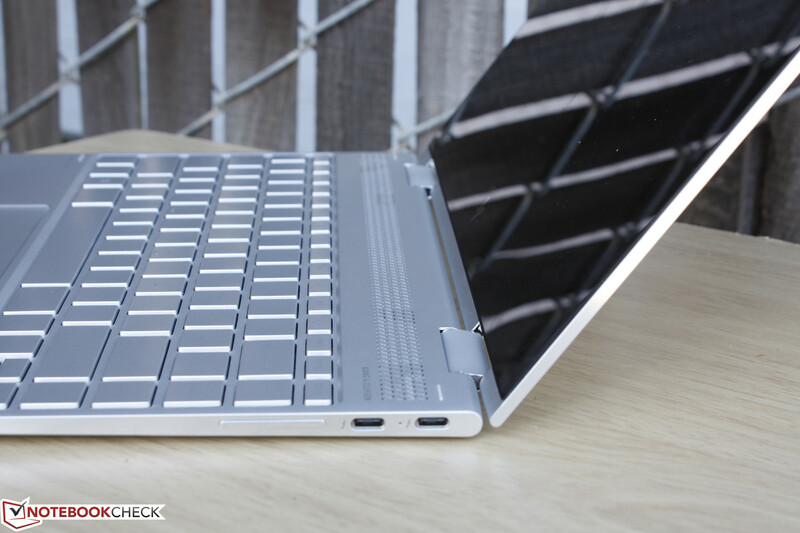 The lid is very resistant to twists and depressions even though it is significantly smaller in length and width compared to the outgoing Spectre x360 13. Pushing down on the outer center of lid and between the two hinges will depress the surface slightly, so the chassis is not perfectly rigid. The base is firm and nigh inflexible around its corners and down the center of the keyboard. Between it and the lid, there are no unintended gaps and almost no creaking for an overall excellent workmanship. 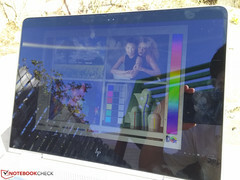 The 13-inch Dell Inspiron 13 7368 is stronger still, but it is much thicker and heavier as well. 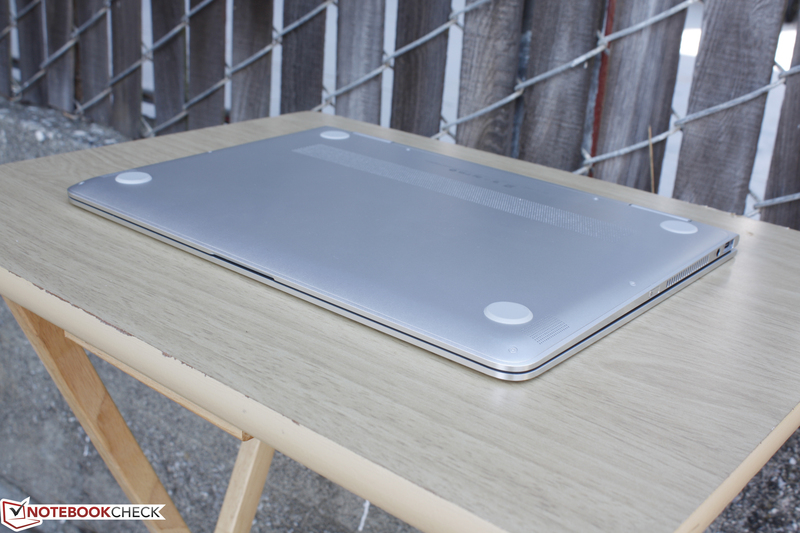 The hinges are satisfactory at best with only slight teetering when typing. 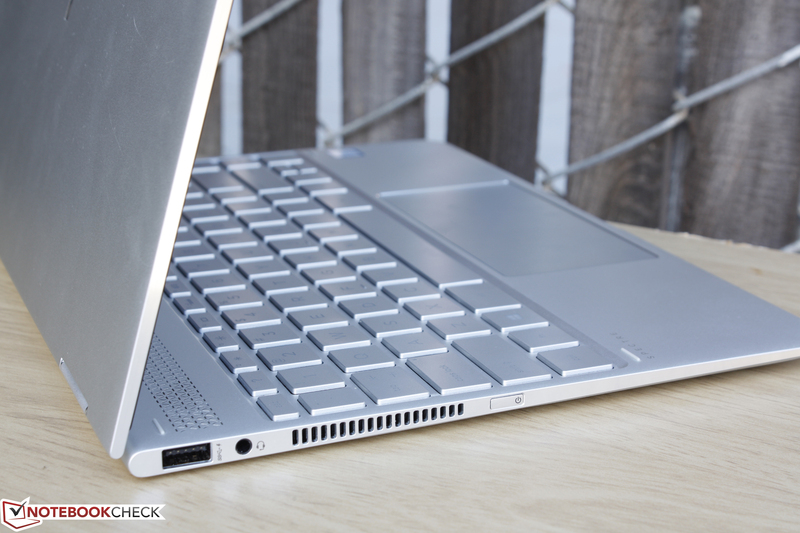 Using the touchscreen or transporting the notebook will almost always push the lid back for a wider angle each time. There are no rubberized edges around the Spectre and the unit can feel slippery when handling in its closed position as a result. 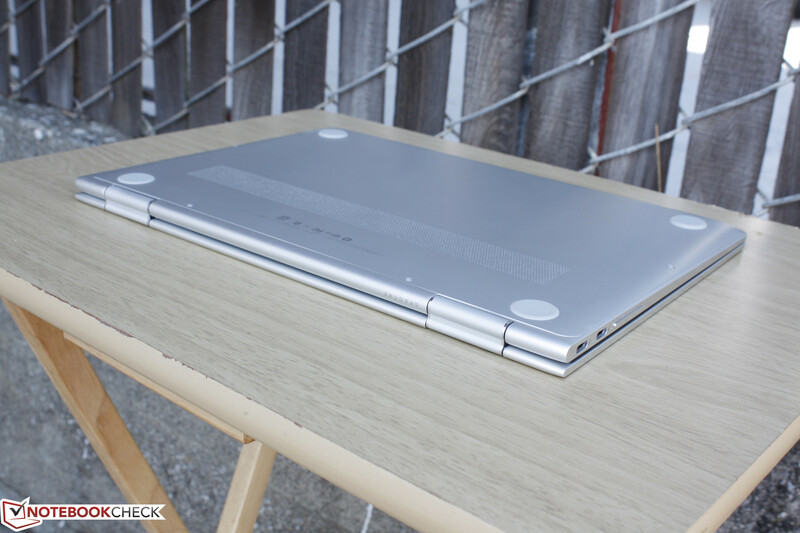 The Spectre x360 convertibles have always been a little heavier than the flagship Lenovo Yoga counterparts due in part to their superior aluminum construction and rigidity. 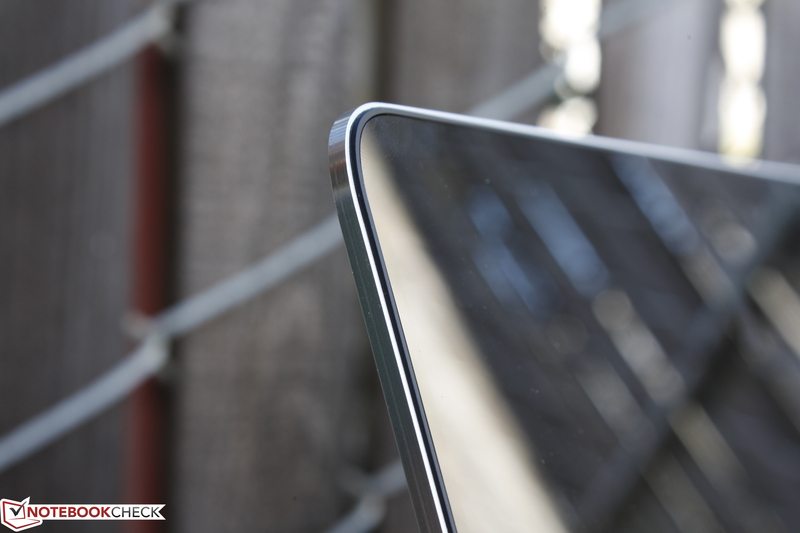 Now that its bezel edges have been shaved off to just over 5 mm (from over 15 mm on the older generation), the overall size and weight of the Spectre x360 13 has been drastically reduced. 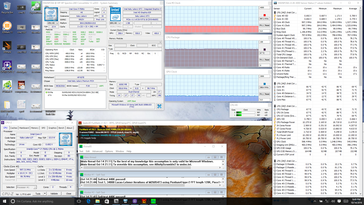 This makes handling much easier in tablet mode when up against the Yoga 900 or Zenbook UX360 while being a hair thinner than both. 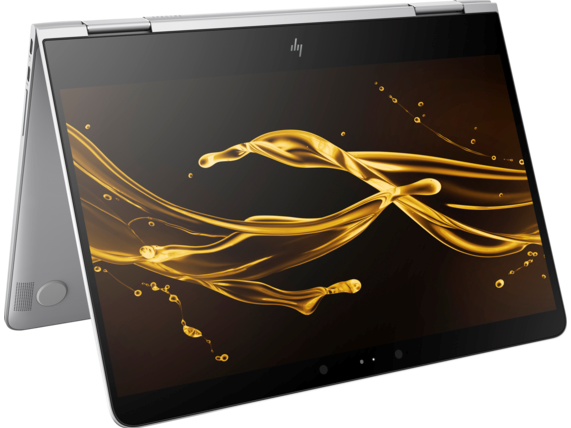 Nonetheless, the HP convertible isn't any lighter than these same competitors at about 1.3 kg even though it may be smaller in width. 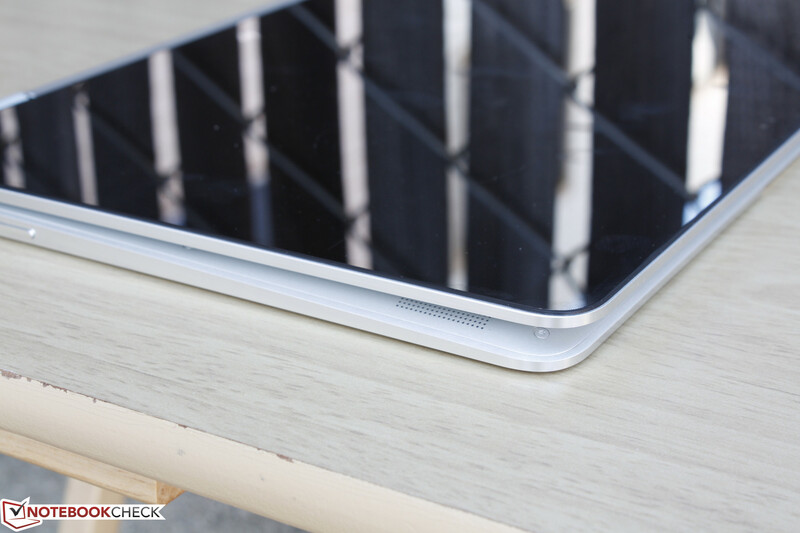 The thickness of the top horizontal bezel is about 17 mm in contrast to its much thinner left and right sides. 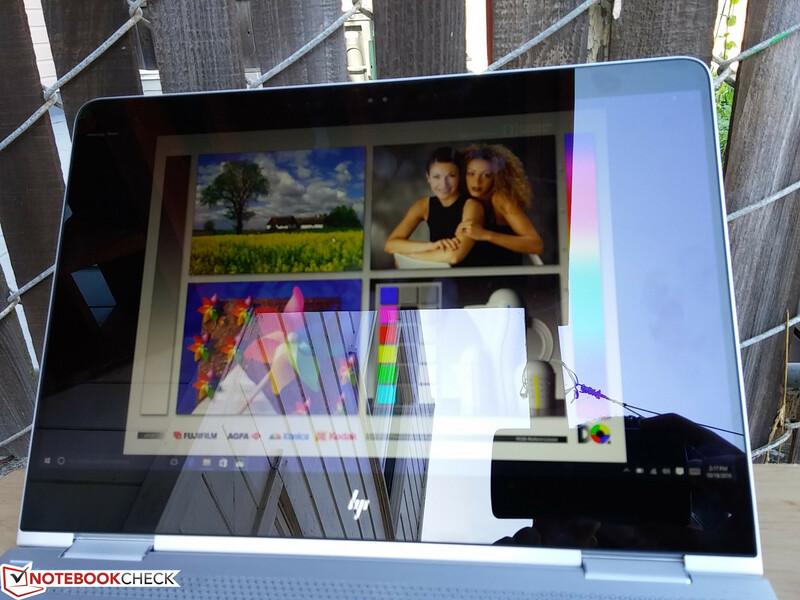 HP tells us that this was done to preserve IR sensor and webcam placement compared to the suboptimal placement of the webcam on the XPS 13 9350/9360 series. 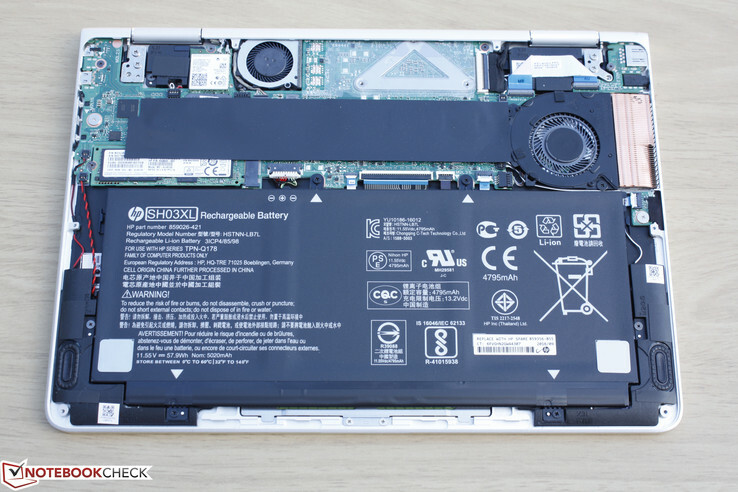 In theory, the Spectre x360 13 could have been even smaller and lighter had HP decided to slice off the top bezel. We're relieved to see one USB Type-A port on the Spectre x360 13 after having none on the recent Spectre 13. 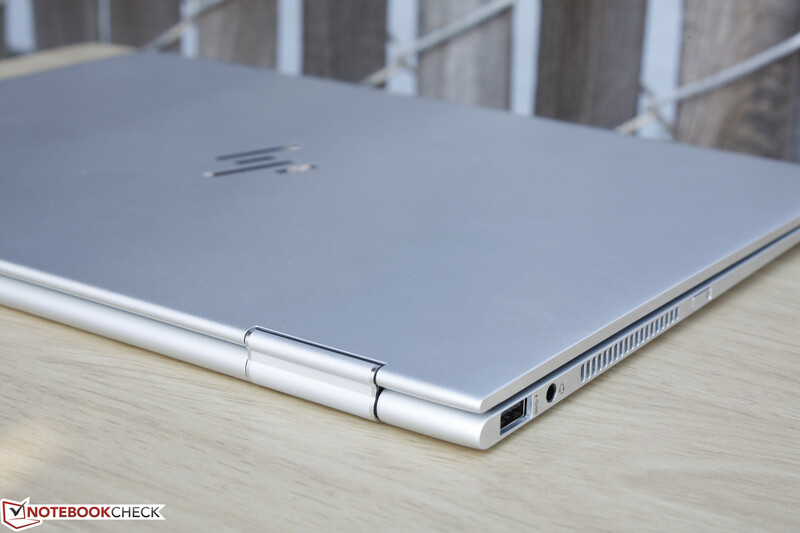 The dual Thunderbolt 3 ports make a return here to be one of the very few (if not only) convertible notebooks to feature two simultaneously. 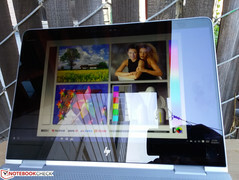 Users can charge the notebook through either port and even through HP's new Thunderbolt-enabled Envy monitor. Missing ports include HDMI, mDP, RJ-45, and even a SD reader. 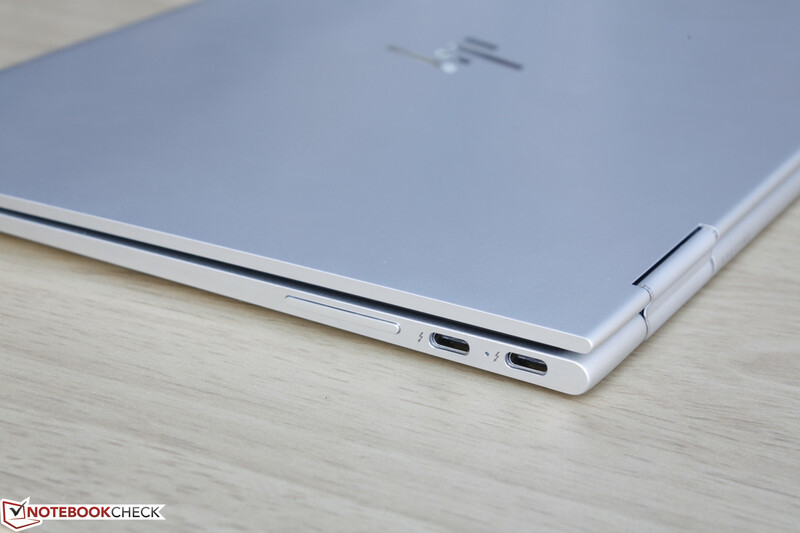 Thus, owners will need to rely on USB or Thunderbolt 3 adapters for better connectivity features. WLAN is provided by a dual-band Intel 8265 capable of theoretical transfer rates of up to 867 Mbps. 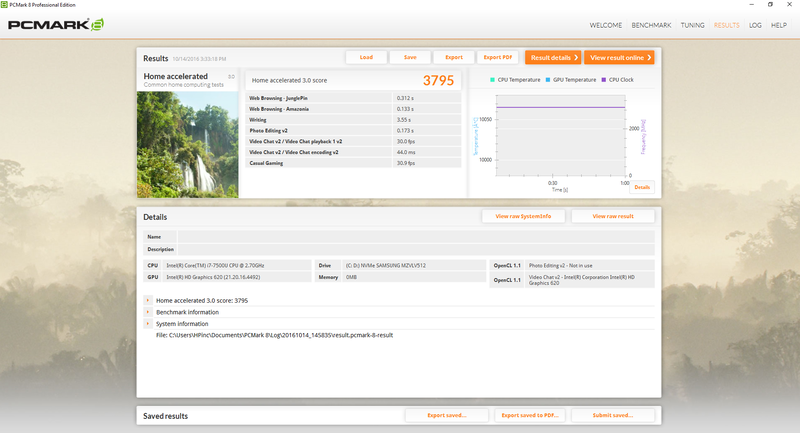 A Jperf test with settings as shown below reveal stable real-world transfer rates of about 500 Mbps. We experienced no connectivity issues during our time with the Spectre x360 15. No WWAN options are available on the series thus far. Included extras are a faux leather case, AC adapter extension cable, Setup guide, and Warranty card. We would have liked to see Thunderbolt-to-USB adapters included in the box like on the Spectre 13 alongside a cleaning cloth as well. Nonetheless, users can take advantage of the two Thunderbolt 3 ports with dual 4K monitors, Thunderbolt-based docking stations, and other all-in-one adapters. The bottom panel can be removed with a T5 hex wrench, Philips screwdriver, sharp edge, and some patience. There are eight screws total of which 2 are hidden underneath the rear rubber feet. Once the tightly latched panel is removed, users have direct access to the internal battery, M.2 2280 SSD slot, M.2 2232 WLAN slot, and the two system fans. 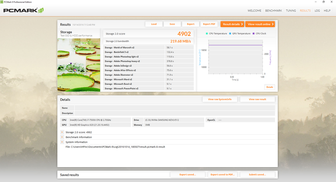 It's possible to purchase a lower-end SKU and upgrade the internal SSD at a later date. The standard one-year limited warranty applies for buyers in the U.S. with phone and chat support included. Extended warranty options are available up to three years with accidental damage protection for an additional $240 USD. The keyboard keys are relatively quiet with a shallow 1.3 mm of travel. 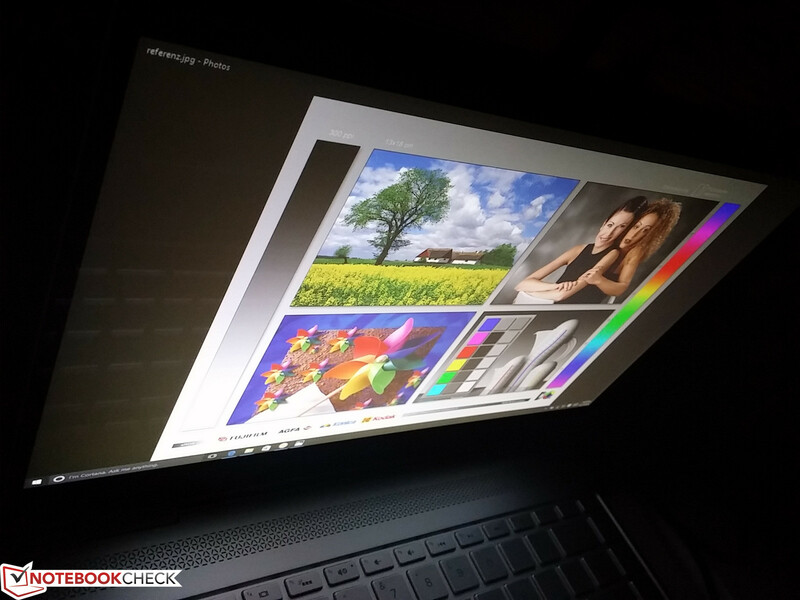 Feedback is slightly on the soft side and could have been more firm compared to what the Lenovo AccuType and Dell XPS 13 series have to offer. 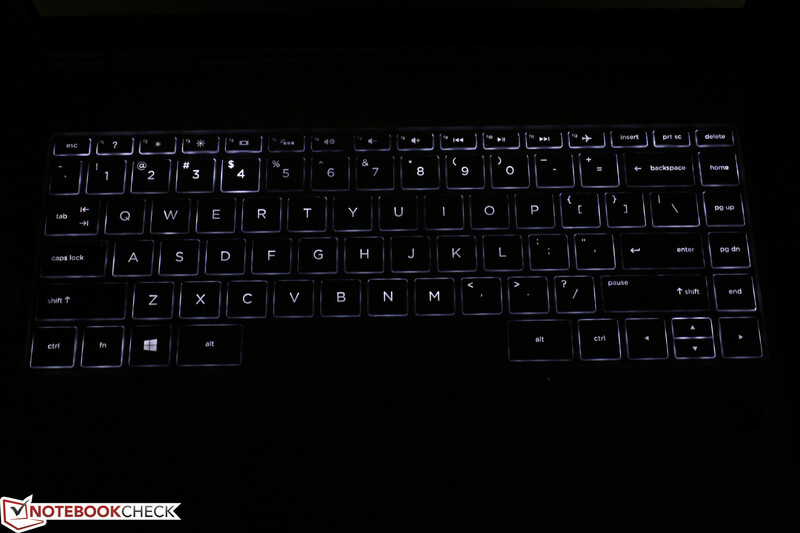 The Space bar and Up/Down arrow keys are especially soft on the Spectre. The keyboard is otherwise quite roomy (~29 x 10 cm) for a 13-inch notebook as the narrower bezel design has not affected the overall size of the keys. There are no dedicated auxiliary keys aside from the volume rocker on the edge next to the Thunderbolt 3 ports. Additionally, the silver keys don't contrast as well with the dark lettering compared to most other notebooks with black keys and white lettering are much more common. 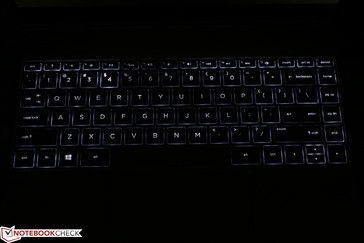 Only one level of white backlight is available and the lighting is unfortunately uneven across the keys as shown in our image below. Some older HP notebooks suffer from this as well and it is definitely something HP should improve upon for future iterations. Unlike on certain ThinkPad Yoga convertibles, the keys will not automatically depress when switching between tablet and notebooks modes. The smooth glass touchpad is wider than on most other notebooks (12 x 6 cm) for easier operation and multi-touch gestures of up to four fingers. 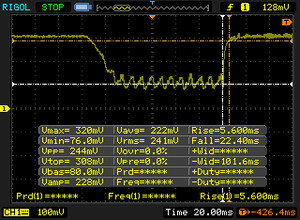 We experienced no issues with cursor controls and the Synaptics software is fortunately reliable when it comes to automatic palm detection or else the larger surface area would have been a major annoyance. 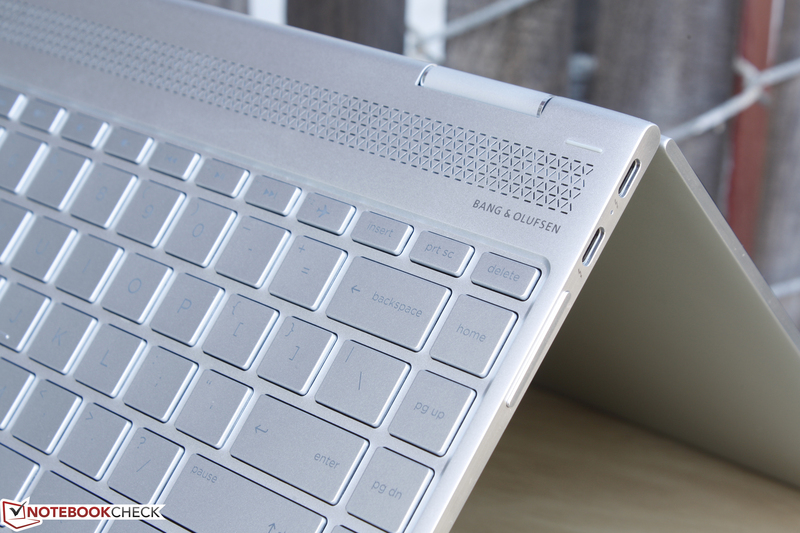 The integrated mouse keys are shallow in travel with firm feedback and an audible click. The force required to input a click is not too strong or light for a comfortable experience even without any dedicated keys. Note that the left and right clicks are not distributed equally; you must click on the very bottom right of the touchpad to input a right click as most of the surface will register a left click. 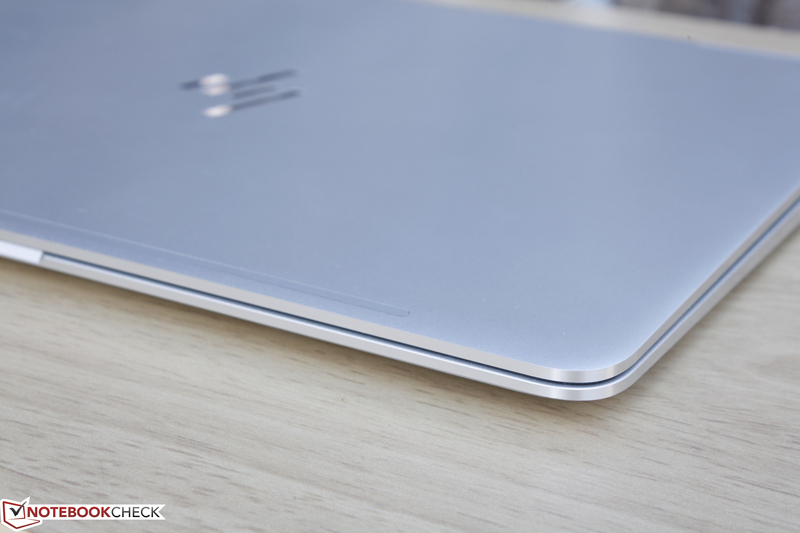 This is still one of the better integrated touchpads on an Ultrabook or convertible this size. 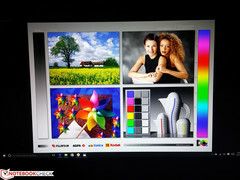 The edge-to-edge 1080p touchscreen provides a crisp picture without any noticeable grains or screen-door effects. 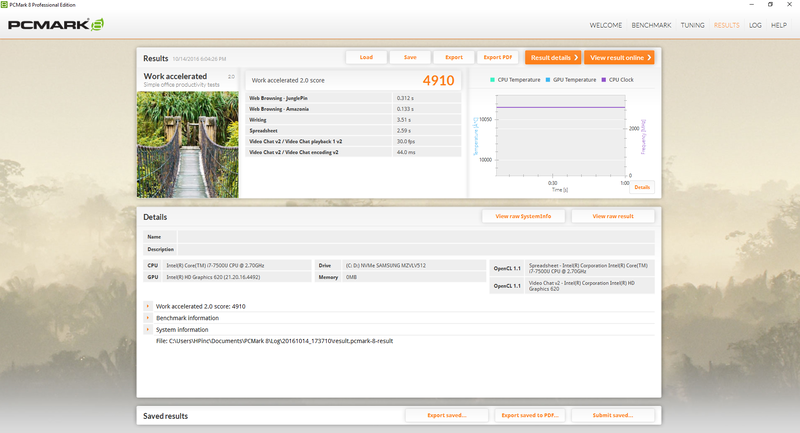 A quick search for its CMN1367 panel ID shows no other notebooks in our database sporting the exact same IPS panel. 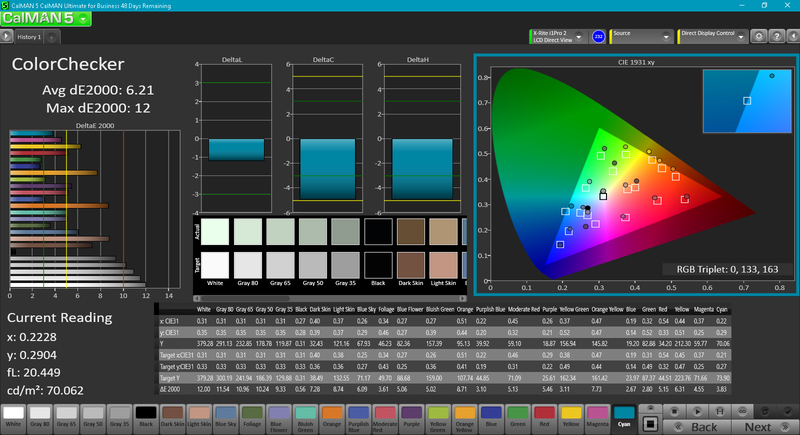 Display brightness and contrast are both very good at just over 300 nits and almost 1000:1, respectively, but they fall short of the recently released XPS 13 9360 as shown in the table below. 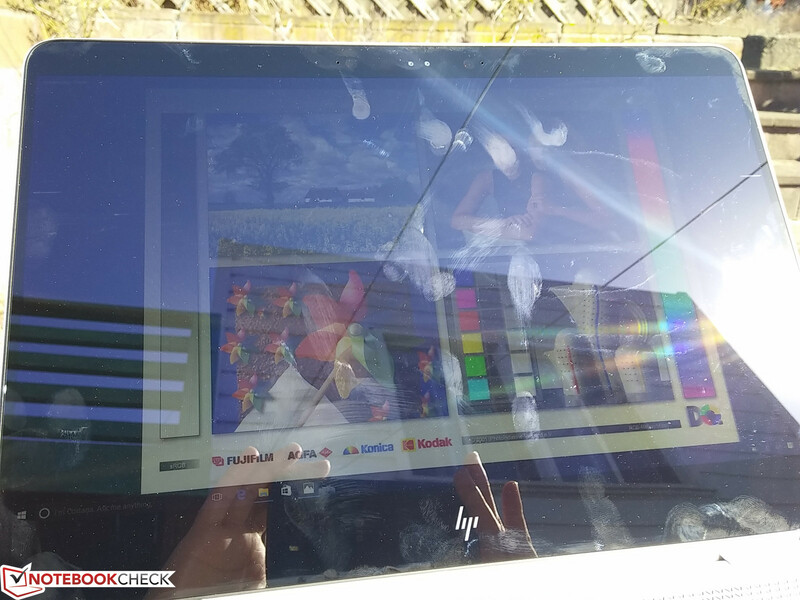 The touchscreen itself does not support active styluses, but HP is considering the feature for future revisions of the Spectre x360 series. 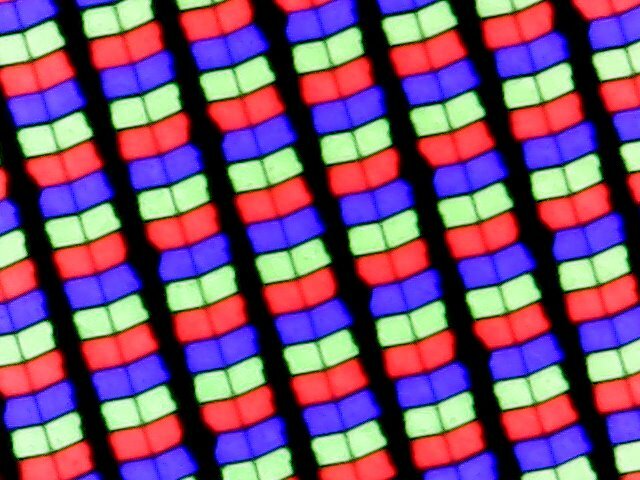 Backlight bleeding is very minimal at the bottom left corner of the screen. 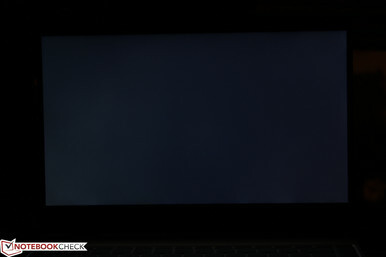 This is almost unnoticeable even during video playback with black bars compared to what we've witnessed on some MSI and Eurocom systems. Color space is approximately 59 percent and 90 percent of the AdobeRGB and sRGB standards, respectively, for deeper and more accurate colors when properly calibrated. This is in line with many other high-end 13-inch notebooks like the Acer Aspire S 13 and the Yoga 900. 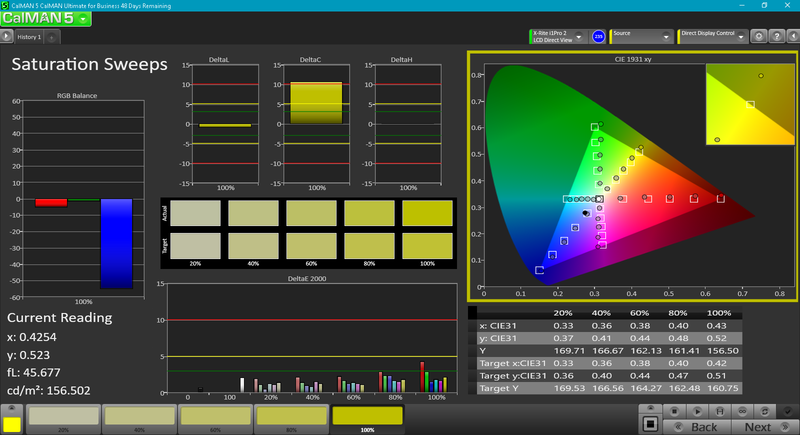 In comparison, cheaper TN panels may cover just 60 percent of the sRGB standard. 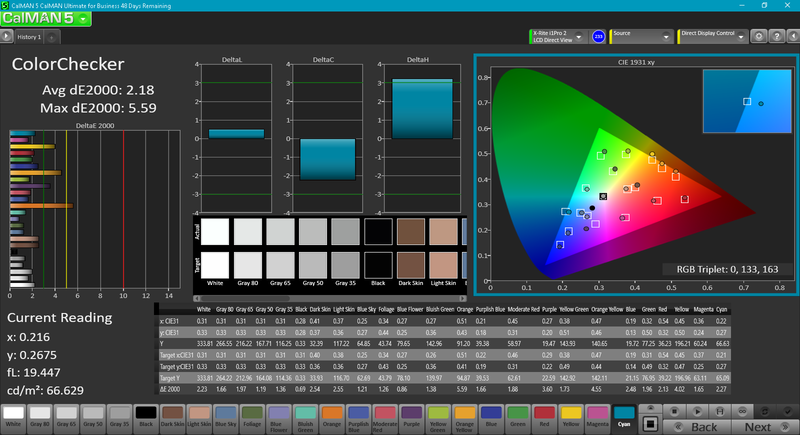 Grayscale and RGB balance are poor out of the box, which is uncommon for a high-end notebook such as this. 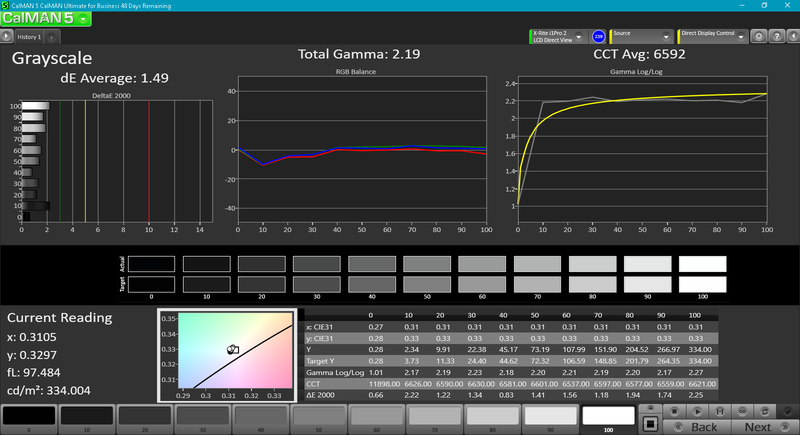 A quick calibration dramatically improves color accuracy and is highly recommended for owners. 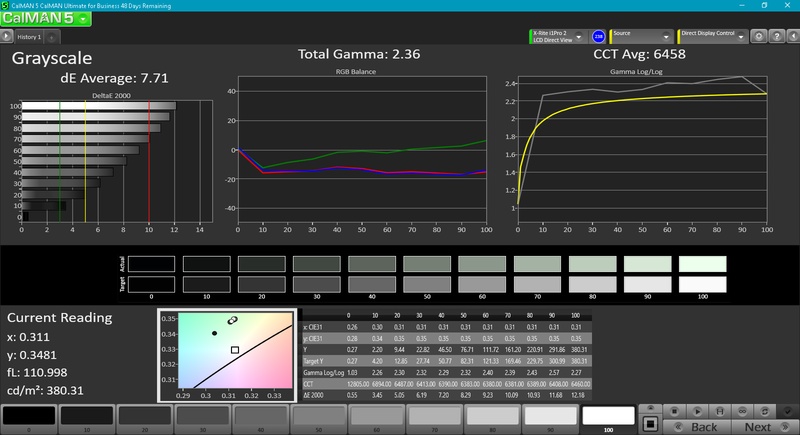 Colors still become increasingly inaccurate at higher saturation levels due to the imperfect sRGB coverage of the panel. 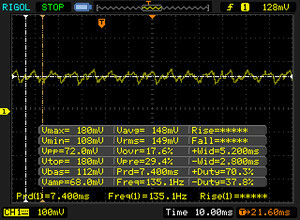 Outdoor visibility is good under shade and average when under direct sunlight. 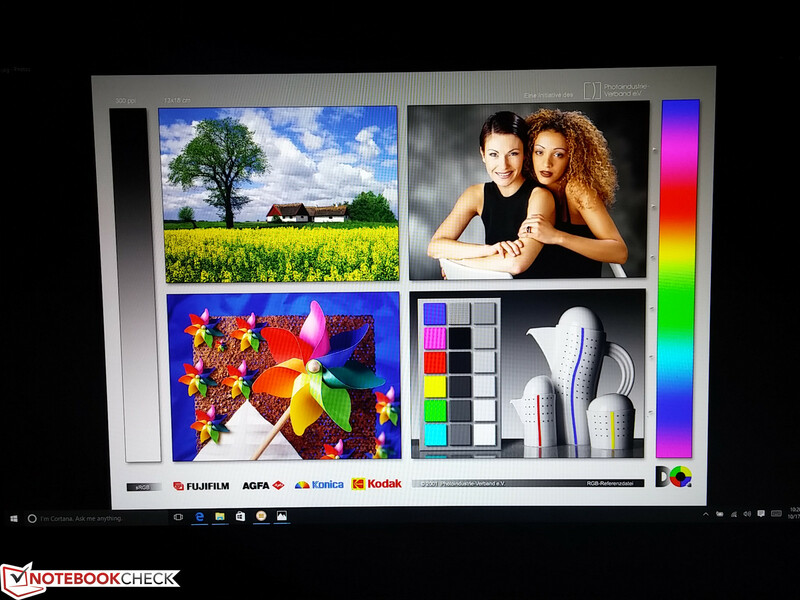 The display backlight is not significantly brighter than many of its competitors and glare from the glossy screen can still be an issue. 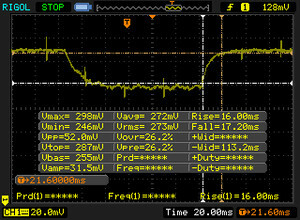 We recommend toggling off the Display Power Saver Technology option in the HD Graphics control panel or else maximum display brightness will be slightly lower when running on batteries. 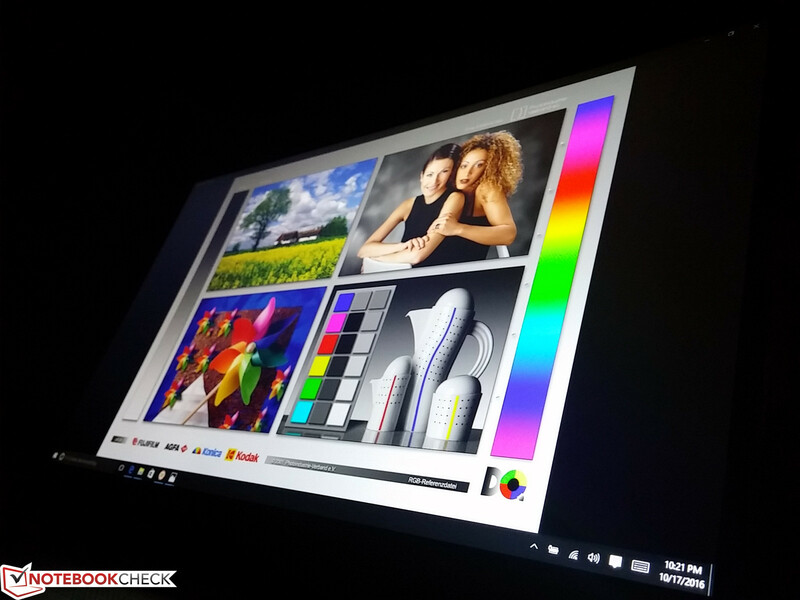 Viewing angles are excellent as expected from an IPS panel to help reduce glare as much as possible and allow for both portrait and landscape orientations when in tablet mode. 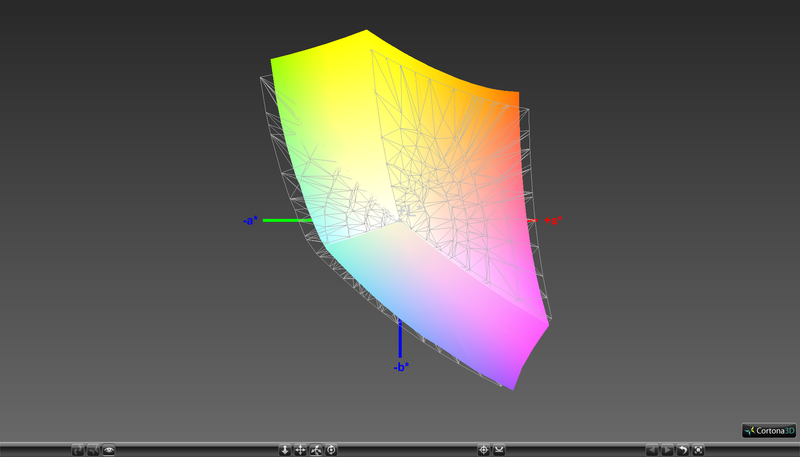 Colors remain stable while relative brightness decreases slightly if not looking directly in front of the screen. 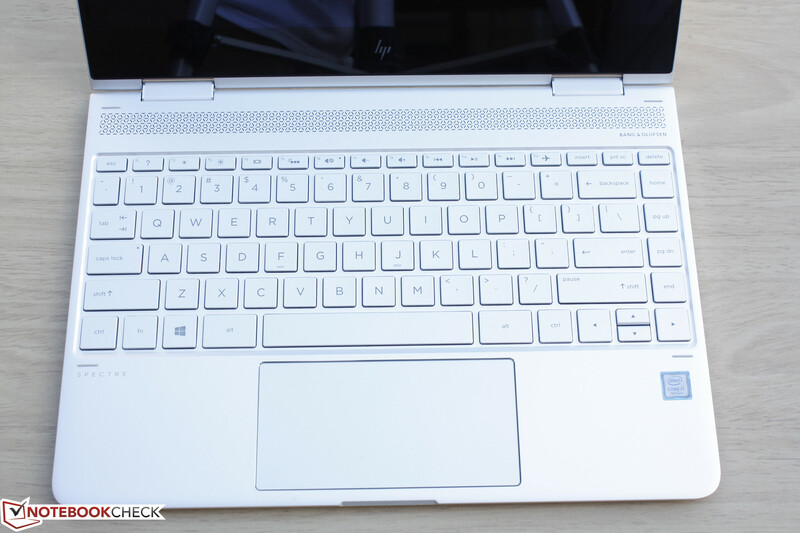 The Spectre x360 13 is one of the first convertible notebooks available to ship with a selection of Kaby Lake processors. 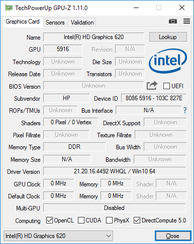 Users can configure with either a Core i5-7200U or Core i5-7500U. Display options are limited to a single WLED 1080p panel unlike on the outgoing Spectre x360 13 which carries a QHD 2560 x 1440 option, but HP has hinted to us that SKUs or revisions with higher resolutions may be available in the future. 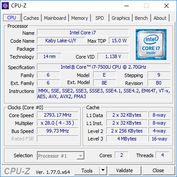 The i7-7500U CPU in our test unit directly replaces the Skylake i7-6500U with both higher base clock rates (2.7 GHz vs. 2.5 GHz) and higher maximum Turbo Boost potential (3.5 GHz vs. 3.1 GHz). 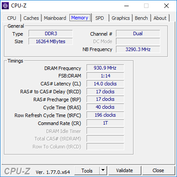 RAM is soldered at either 8 GB or 16 GB with the latter option reserved for i7-7500U SKUs only. HP has opted to go with DDR3 instead of the more power-efficient DDR4 possibly to save on costs. 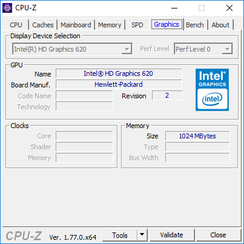 The latest version of GPU-Z as of this writing was unable to fully recognize the integrated HD Graphics 620. 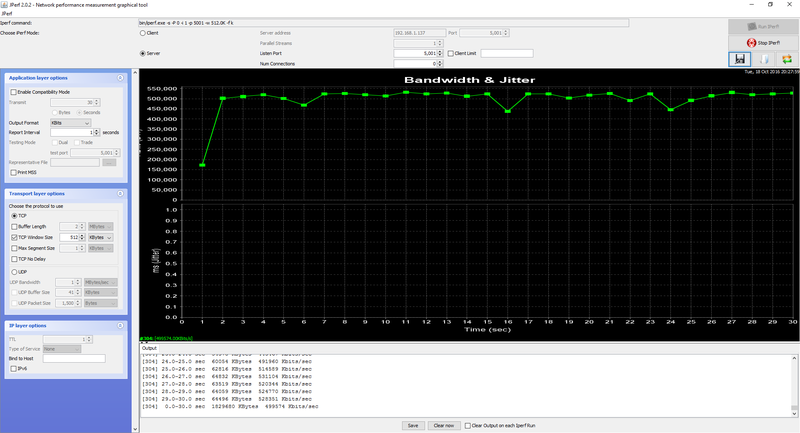 The CPU performance deltas between successive Intel Core ix generations have been minimal when compared to the performance deltas of their integrated GPUs. 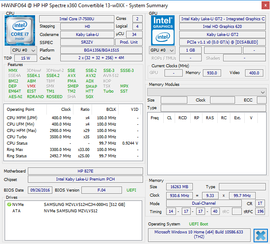 As shown by our comparison below, the Core i7-6500U in our Spectre is at most just a few percentage points within the U-class Core i7 Skylake and Broadwell processors according to CineBench benchmarks. 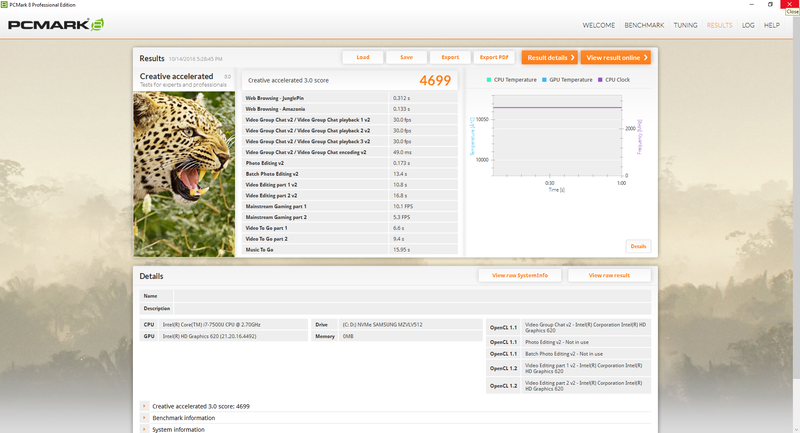 If raw CPU performance is the only factor, then opting for an older system will bring almost no drawbacks. 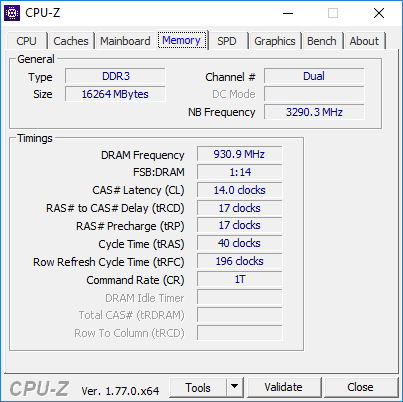 Proper quad-core processors with higher TDP requirements like the i7-4700HQ will handily outperform the i7-7500U in multi-threaded workloads. 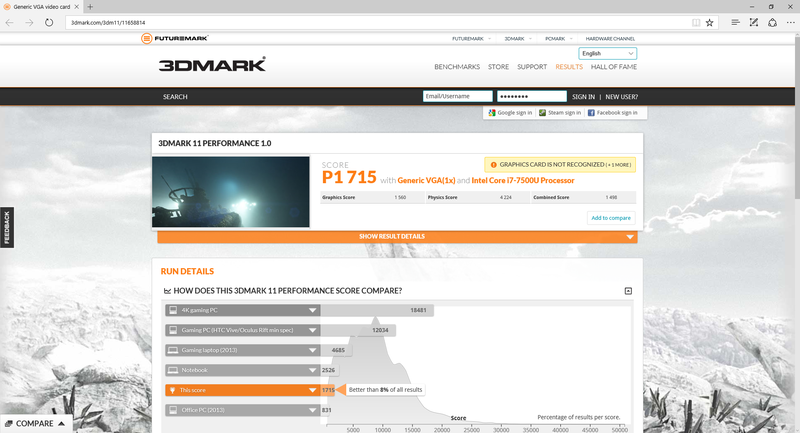 See our dedicated CPU page on the Core i7-7500U for more technical information and benchmark comparisons. Our full review on the Kaby Lake U-series also dives deeper into the 7th generation Core ix series as a whole. 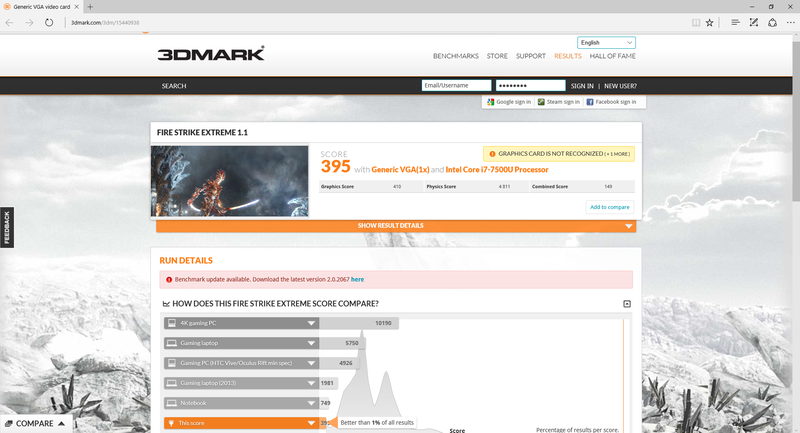 PCMark 8 benchmarks rank our Spectre x360 13 ahead of some of its closest competitors including the Asus UX360UA and the Yoga 900. 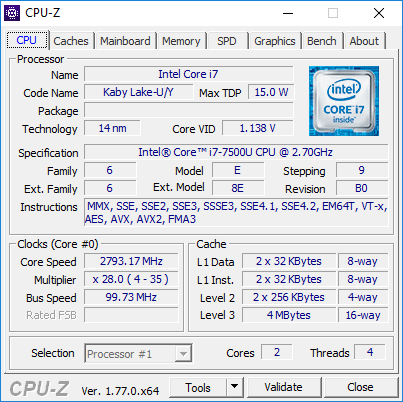 There's no doubt that the small bumps in processor and graphics performance from the Kaby Lake generation played a part in the slightly higher scores for the system. Subjectively, the convertible runs flawlessly and we experienced no notable software or hardware abnormalities during our time with the test unit. Internal storage is limited to a single M.2 NVMe slot with configurable options of 256 GB and 512 GB. A 1 TB option will be coming soon according to HP for even more storage space. 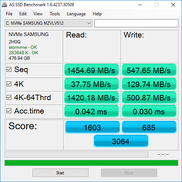 The Samsung PM951 NVMe SSD in our test unit is significantly faster than standard SSDs limited by the SATA III interface and even edges out the NVMe Toshiba SSD in our XPS 13 9360 test unit. While sequential read rates are fast at over 1300 MB/s, sequential write rates are only average for a NVMe SSD at about 570 MB/s. 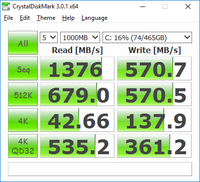 See our growing table of SSDs and HDDs for more benchmark comparisons. The integrated HD Graphics 620 is about 20 to 30 percent faster than the outgoing HD Graphics 520 according to 3DMark benchmarks and about 80 percent faster than the HD Graphics 4400 found on older Haswell notebooks. We wouldn't consider the jump in performance to be revolutionary, but it's measurable nonetheless. 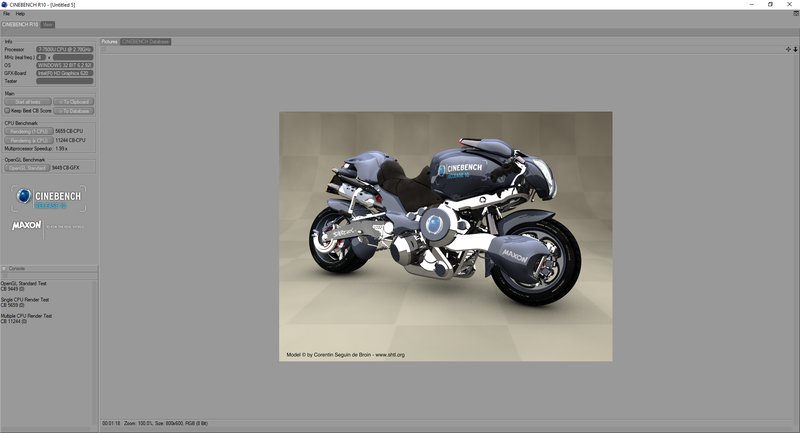 The previous generation of integrated Iris GPUs still hold a commanding lead over the HD Graphics 620 and, by extension, so do the entry-level Nvidia Maxwell GPUs. 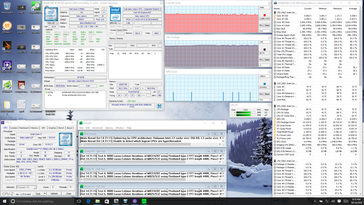 Our MSI CX72 reference with the same i7-7500U is again ahead of our Spectre in raw GPU power by about 15 percent in 3DMark benchmarks. 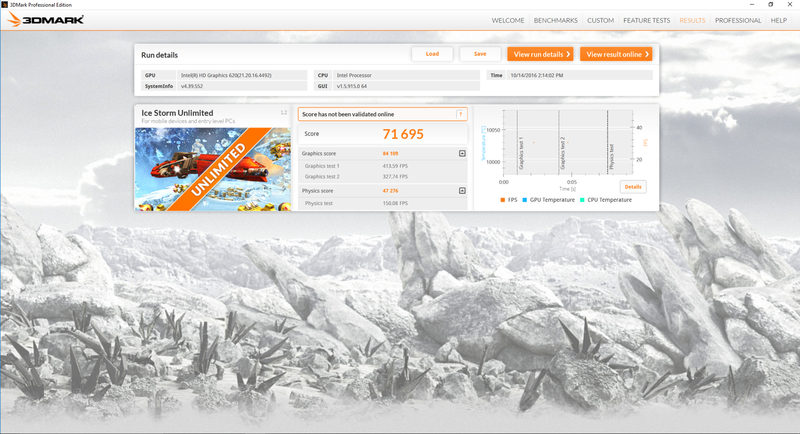 See our dedicated GPU page on the HD Graphics 620 for more technical information and benchmark comparisons. 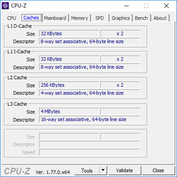 The performance boost over the previous generation HD Graphics 520 or even the HD Graphics 5500 is still not significant enough to be able to play the latest titles on anything more than Low to Medium settings at 720p. 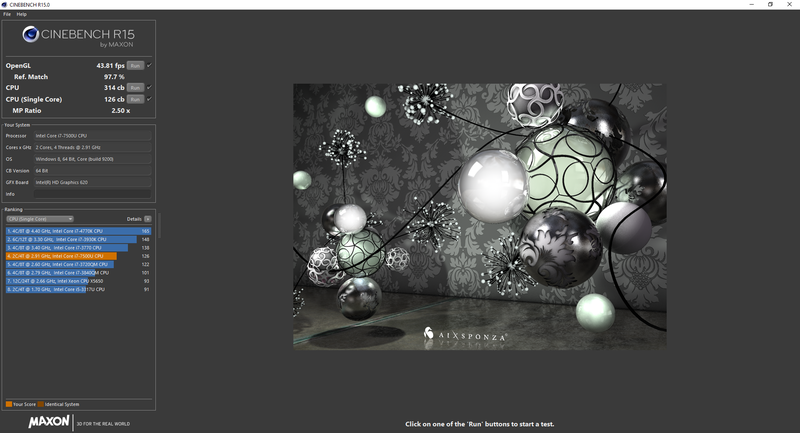 Titles like Bioshock Infinite reveal that both the Iris series and entry-level Nvidia GPUs can significantly outperform the HD Graphics 620. 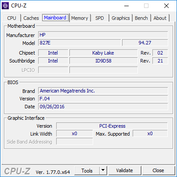 Undemanding titles like DOTA 2 or LoL will see more tangible benefits from the Kaby Lake iGPU. We stress the notebook with unrealistic maximum loads to identify for any throttling or stability issues. 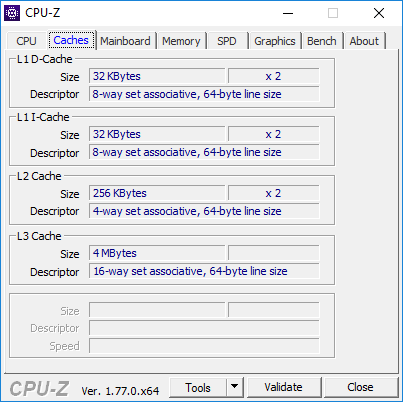 Users can expect the processor to be able to maintain its base clock rate of 2.7 GHz when under Prime95, so any Turbo Boost benefits will be short-lived. 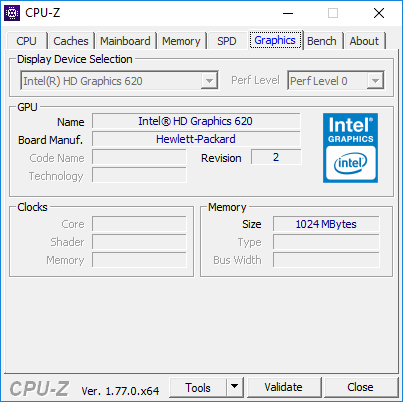 This also falls in line with our lower-than-expected CineBench results for the i7-7500U in the Spectre compared to other systems equipped with the same CPU. 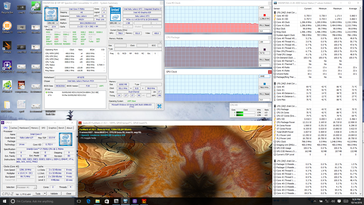 Both the CPU and GPU will throttle down to just 997 MHz and 598 MHz, respectively, when under simultaneous Prime95 and FurMark stress. 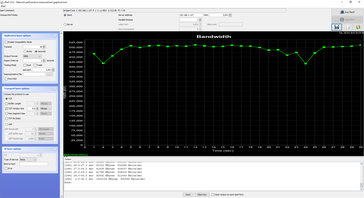 Core temperature appears to peak at around 88 C before Turbo Boost and clock rate ceilings are automatically lowered. 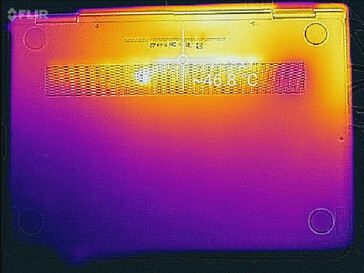 Running Unigine Valley to represent medium or gaming loads will result in a stable core temperature of about 72 C, which is relatively low for a thin notebook under load. 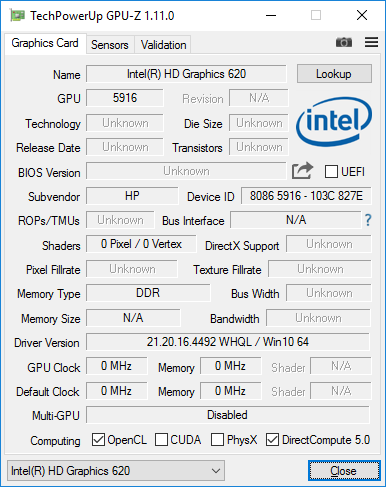 Running on battery power will not significantly throttle CPU or GPU performance. A 3DMark 11 run on batteries returns Physics and Graphics scores of 4166 and 1485 points, respectively, compared to 4224 and 1560 points when connected to mains. 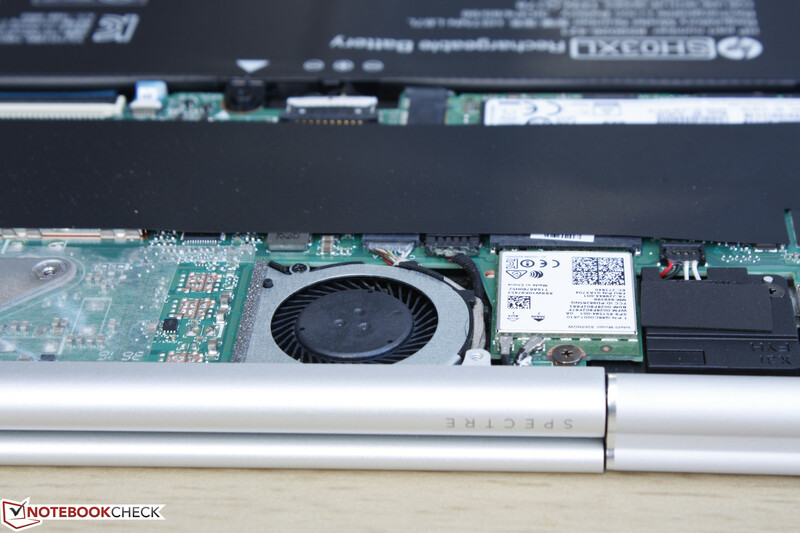 The Spectre x360 13 utilizes two fans whereas most notebooks with ULV processors have just one. Fan noise is silent when word processing or browsing and will occasionally pulsate to an audible 31.2 to 32.5 dB(A) range under heavier loads. This luckily occurs infrequently, so fan noise was never bothersome during day-to-day use. When it does occur, however, the fans tend to maintain their higher RPMs for longer before powering down to quieter levels. Gaming loads will bump fans to a steady 37.3 dB(A) to be louder than many of its competitors including the XPS 13 9360. Running both Prime95 and FurMark simultaneously will have the fans at their maximum 39.6 dB(A). 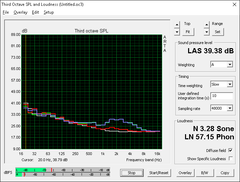 Surface temperatures are relatively flat when idling. 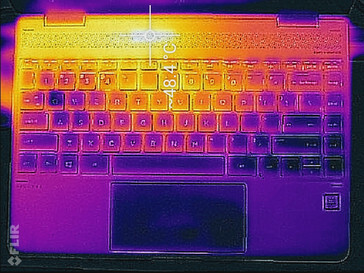 Common loads like web browsing or video playback will raise temperatures by a noticeable amount, but the hot spots are thankfully towards the rear of the notebook and away from the user's palms as shown by our thermographs below. At worst, we were able to measure a surface temperature of just over 48 C to be quite similar to the XPS 13 9360 and the Spectre 13. 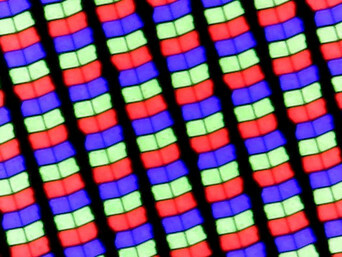 The system never becomes uncomfortable to use, though the hot spot will become more noticeable when holding onto the tablet in portrait mode. The new quad speakers from Bang & Olufsen provide better sound than expected from a thin convertible. Volume is loud and relatively balanced as shown by our microphone measurements below with tangible reverberation on the palm rests when at 50 percent volume or above. Bass and overall quality are not as good as thicker notebooks like the Eurocom X7E2, but still more balanced than even the older 15-inch Spectre x360 15. 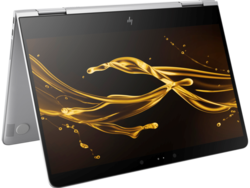 The HP convertible is about as energy efficient as competing 13-inch notebooks including those equipped with Skylake processors. We were able to measure a draw of about 5 W to 7 W when idling on desktop with no active windows. 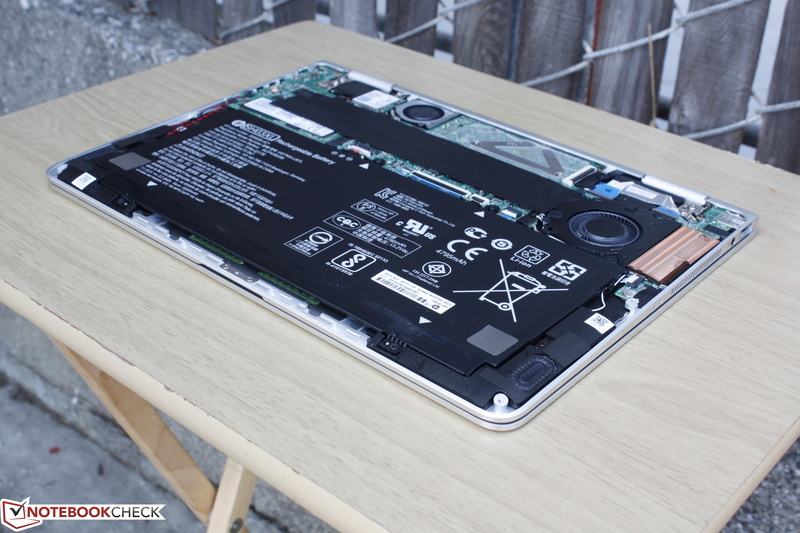 Gaming will draw about 33 W to 35 W, which is again similar to most 13-inch Skylake U-class notebooks. The included small power adapter (~6.5 x 6.5 x 2.7 cm) is rated for up to 45 W with a 65 W option available at Best Buy retailers. The 45 W adapter is more than sufficient for our particular configuration. 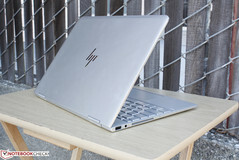 As for third-party Thunderbolt 3-based chargers, HP claims that the Spectre x360 13 will support them so long as they are certified chargers. The included 45 W adapter outputs 5 V/9 V at 3 A.
Runtimes on the Spectre x360 13 are incredibly long. Idling on desktop at the minimum brightness setting and on Power Saver mode will last well over 20 hours while more real-world WLAN conditions at a brightness setting of 150 nits will last for over 9 hours. This is significantly longer than most Skylake U-class notebooks including the Spectre 13. 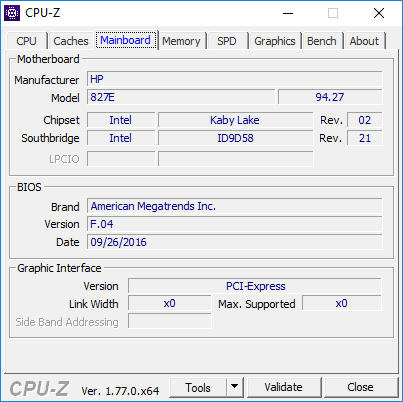 The long battery life can be attributed to both the Kaby Lake platform and the large non-removable 58 Wh battery. Charging from near empty to full capacity will take a little less than 2.5 hours. 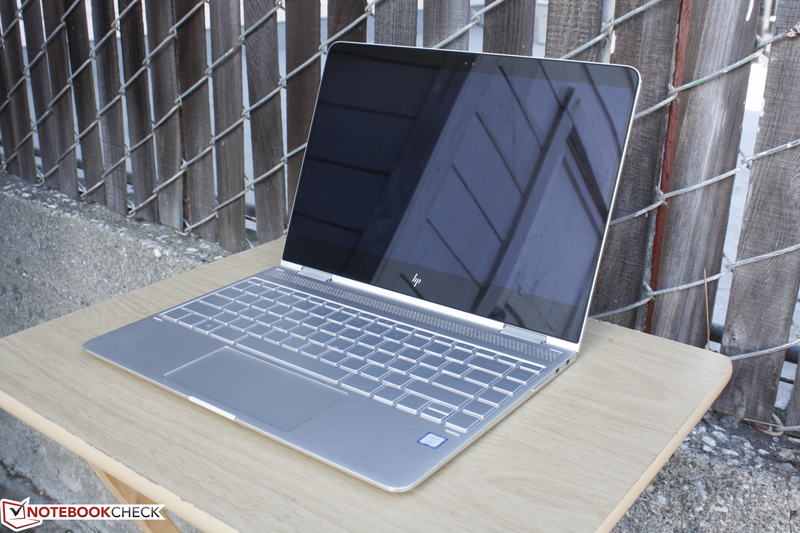 In review: HP Spectre x360 13-w023dx. Test model provided by HP US. 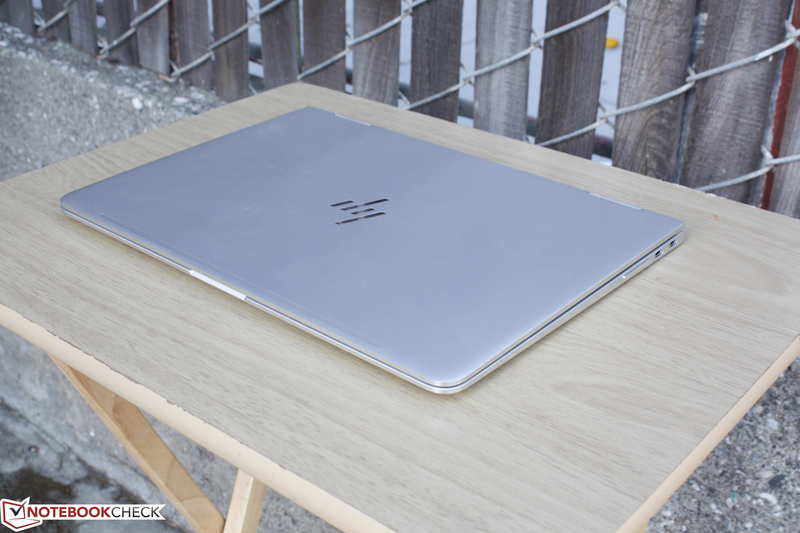 The Spectre x360 13 is the best Spectre 2-in-1 yet. Our biggest gripe with previous Spectre convertibles was that they were very bulky compared to the competition, but the narrower bezels have helped slimmed down both size and weight tremendously without any drastic consequences to quality or rigidity. 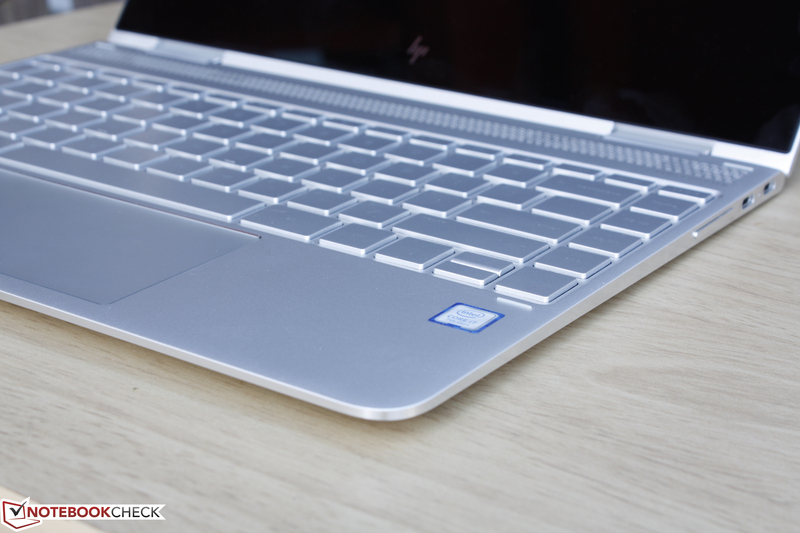 In fact, the new design is the best aspect of the Spectre x360 13 more so than the Kaby Lake hardware update. 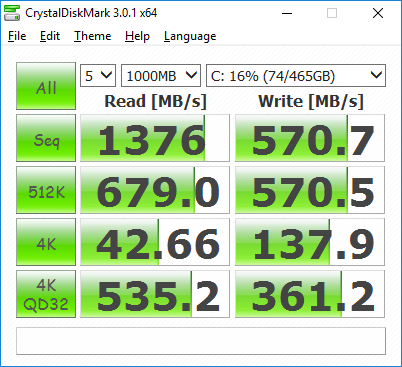 Other advantages of the refresh are the longer runtimes, NVMe SSD, stronger integrated GPU performance, and 2x Thunderbolt 3 ports. 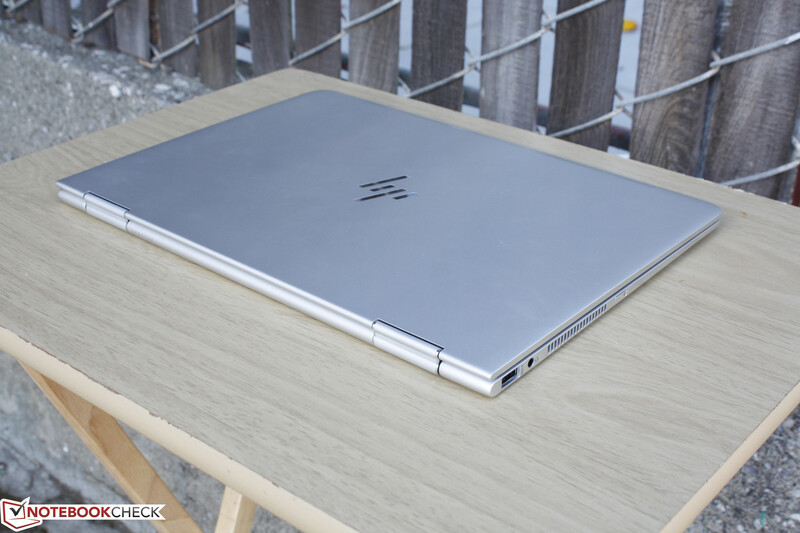 The extreme portability and versatility of the HP convertible come at the cost of features as even a MicroSD reader or some sort of included dongle for HDMI/VGA support would have been praised. The keyboard, while adequate, doesn't quite match up against the XPS 13 or Lenovo ThinkPad Yoga series in terms of feedback and travel. 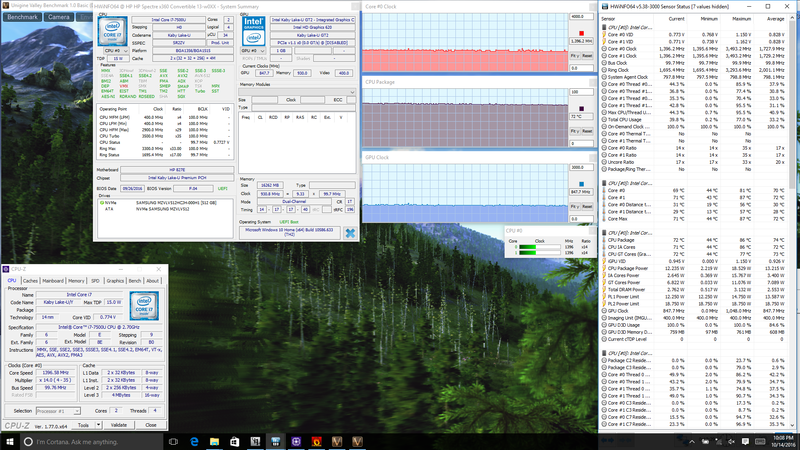 Its very weak Turbo Boost potential means processor performance is slower than expected out of the i7-7500U, so its full power is unfortunately not utilized on this system. HP has taken a barebones approach with the new Spectre and we find this to be for the better considering that the convertible targets Ultrabook and MacBook Air users alike. 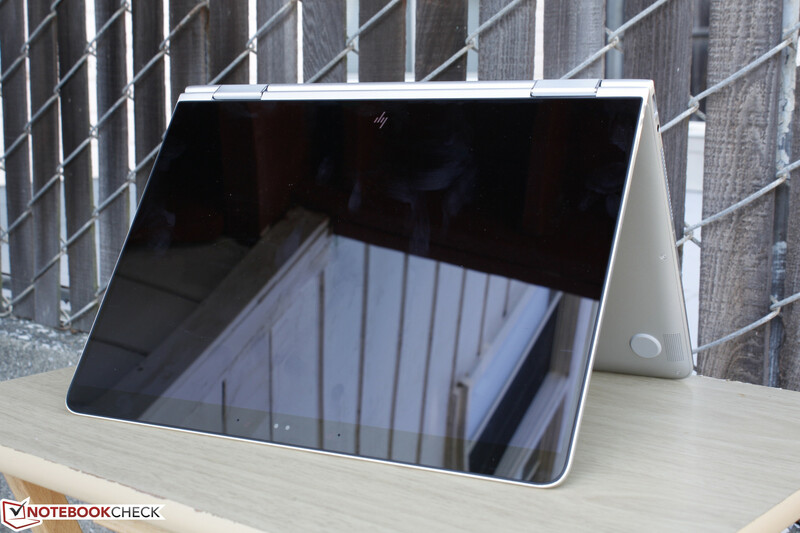 We can't wait to see the manufacturer apply the same slim bezel concept to its existing Spectre x360 15 series. 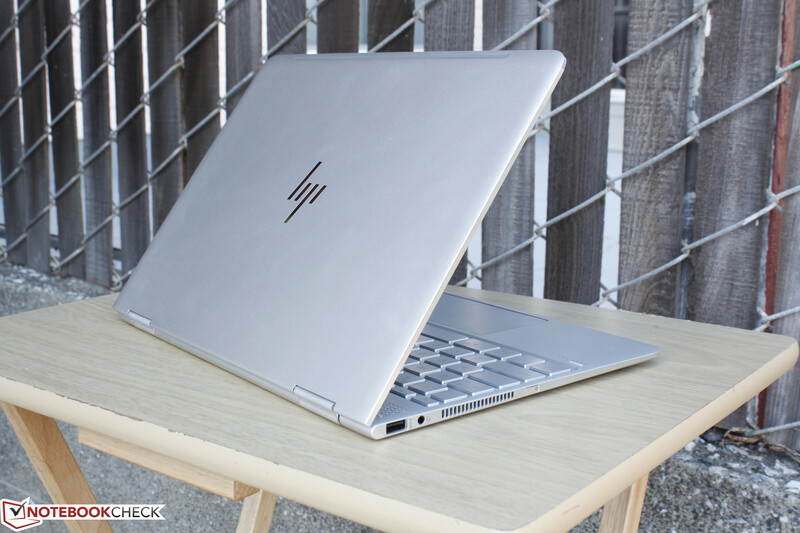 The Spectre x360 13 is powerful enough to be a multimedia notebook while being lightweight and portable enough to act as an occasional Windows tablet. Its new smaller design allows the convertible to be the best of both worlds more fittingly than the current competition.